Edgar Award winner Sharyn McCrumb brings you her sixth Elizabeh MacPherson mystery novel. 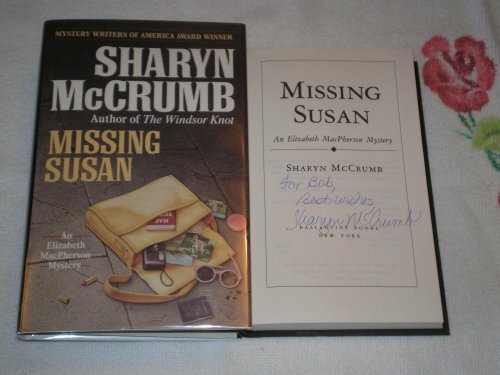 "Sharyn McCrunb is definitely a rising star in the New Golden Age of mystery fiction. I look forward to reading her for a long time to come." tour member -- the obnoxious young heiress Susan Cohen. more intriguing due to this book. Weaccept cash, checks, all major credit cards including American Express, Visa, or Mastercard. Shipping costs within the USA are $4.50 for media or $6.00 for priority. International shipping costs $35.00 for global priority.